Smooth male/female folk/praise ensemble doing solemn minor-key songs with a Jewish flavor ala Lamb (which should come as no surprise since Lamb members Joel Chernoff and Rick “Levi” Coghill are both involved). Peppy songs along with a few ballads, carried along by stirring vocal arrangements. A rather mellow project, but can strike a pretty moment here and there, especially on the slower numbers. Members of the group Glad provide keyboards, bass and drums, while Coghill supplies the guitars. 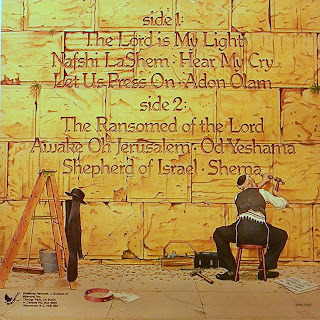 Hebrew lyrics on some of the songs. Directed by Joe Finkelstein. “Kol Simcha” means “sound of joy”. File with Liberated Wailing Wall and Israelight. (The Archivist by Ken Scott, 4th Edition). A quite nice album, and yes i agree with the Lamb comparison, thank you for sharing it Dia. I am looking to purchase these old Kol Simcha albums. Any idea where I can get them? Can’t seem to find them online, except used old vinyls on Amazon. You may be able to find albums (vinyl) sometimes new still in shrink on Ebay amazon, Gemm or Music stacks search google blogs and Christian record sites. Sometimes it takes waiting a year or more. Check pawn shops and thrift stores also. Sometimes you have to settle for a lesser grade album until a better one surfaces. May also want to search Messianic music sites too. Is there anywhere I can get this CD and other Kol Simcha CDs at a reasonable price? Please e-mail me back at tompitt27@gmail.com and let me know. Thank you. I have a copy on cassette. When i put my hands on it, I plan to have a CD made from it. Sorry Yehuda; I did not see your response until just now; about 1 year later. Do you still plan to have a CD made from the cassette? As I’ve asked before: is there anywhere I can get this CD and other Kol Simcha CDs at a reasonable price? Please e-mail me back at tompitt27@gmail.com and let me know. If not, please let me know also. Thank you. Rise up from the dust, captive daughter of Zion. For I, even I, am He Who comforts you. And I will gather you from all the places where I have driven you.
. . . and you are My People, Jerusalem. 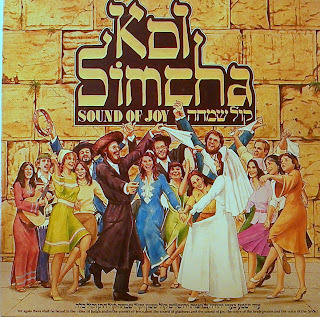 Kol Simcha, from Sound of Joy. Hebrew. I wait for the LORD, my soul waits, And in His word I do hope.